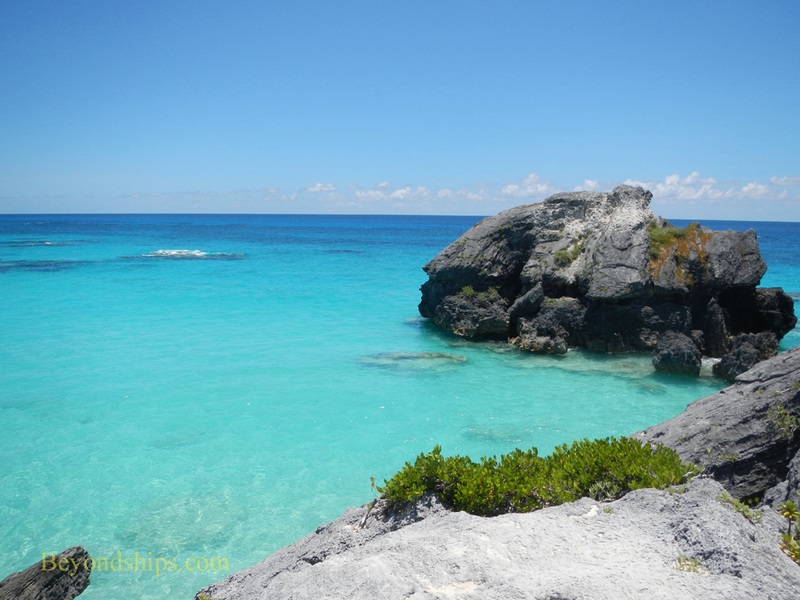 Bermuda is a series of islands and is blessed with many sandy world-class beaches. The following is a sampling of some of them. 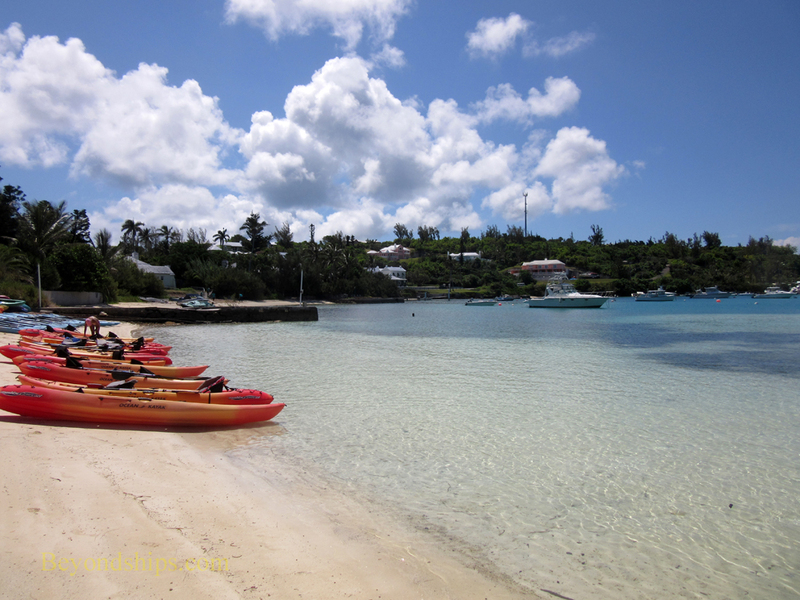 Secluded among towering rock faces is Church Bay at the extreme western end of the South Shore row of beaches. 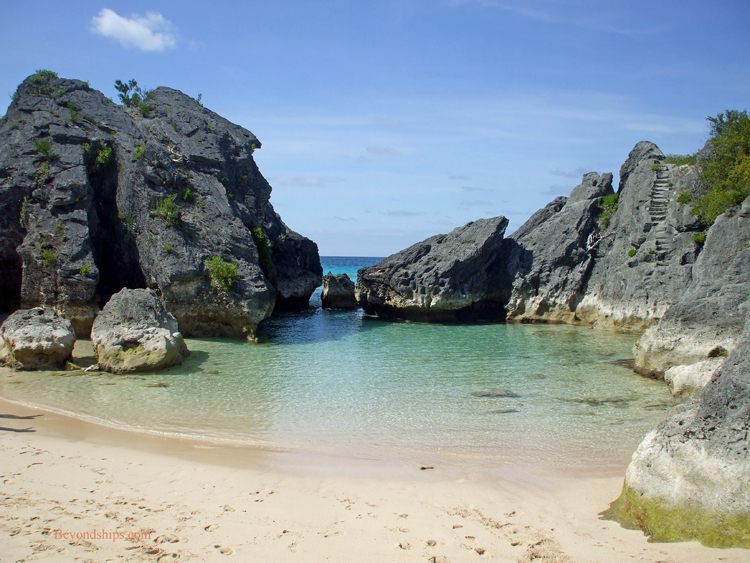 The most popular beach in Bermuda is Horseshoe Bay. 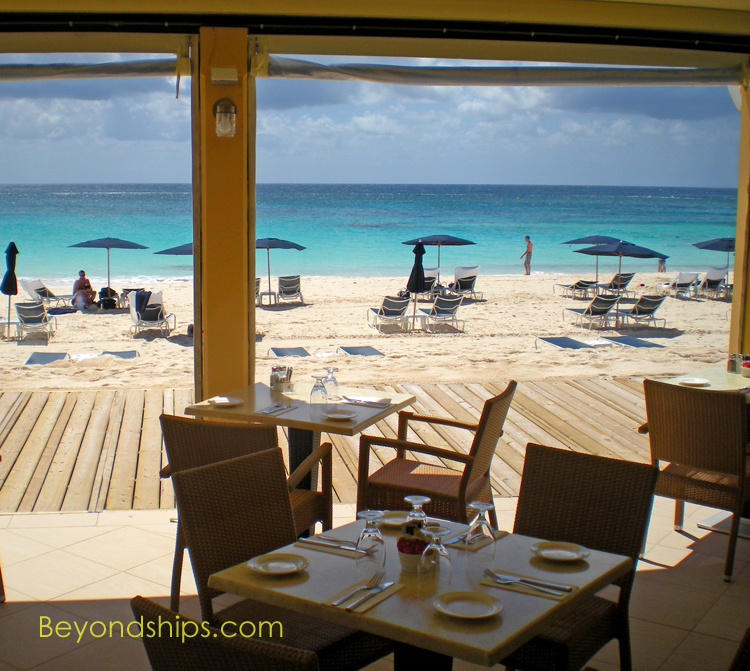 The beach has facilities including changing rooms and food services. People tend to congregate at the end of the beach nearest the facilities. 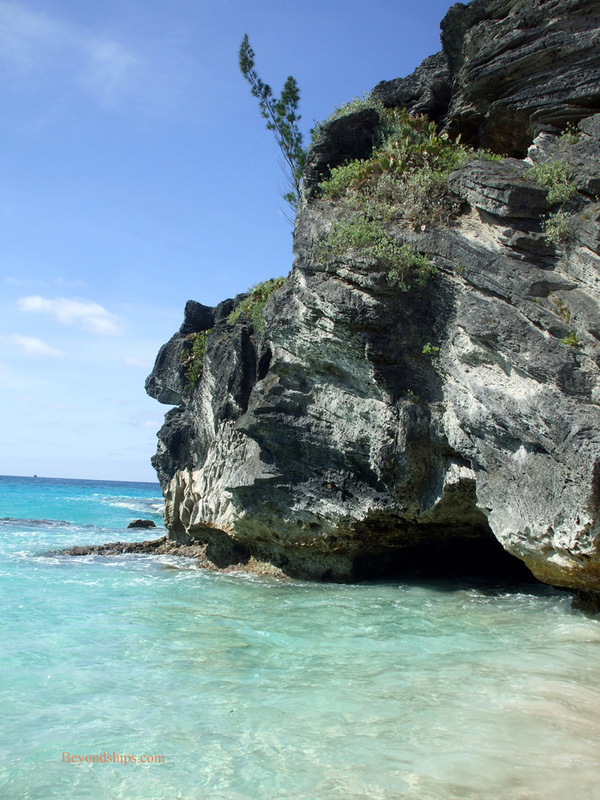 As a result, the further end is more secluded with impressive rock formations creating more intimate beaches. The next significant beach to the east is Chaplin Bay. 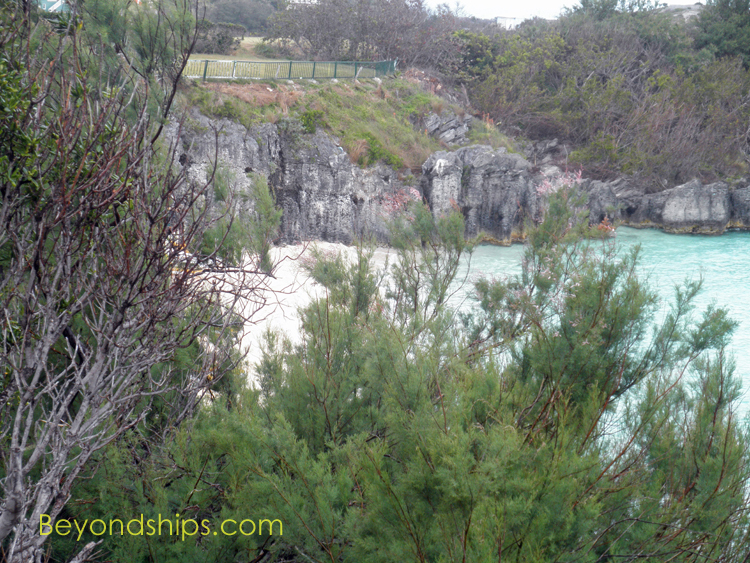 Smaller than Horseshoe Bay and with less facilities, Chaplin Bay is more secluded. Often called Chaplin Bay's twin, Stonehole Bay is also secluded and romantic. 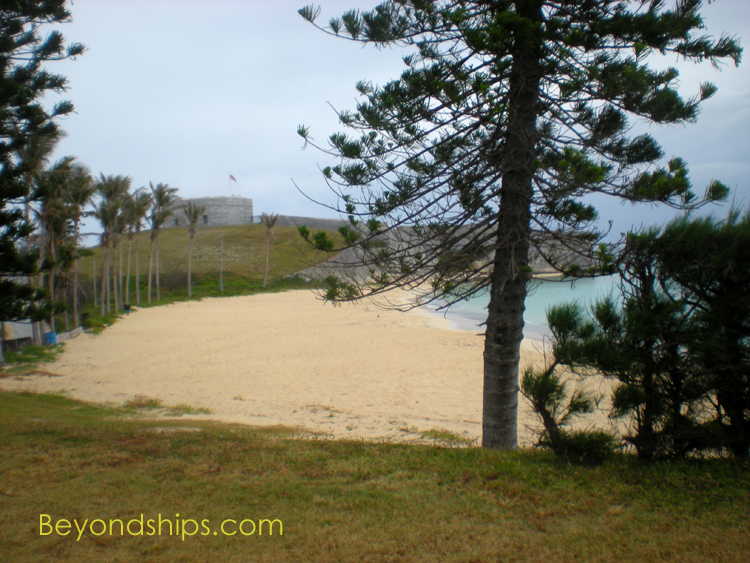 Jobson's Cove looks like a movie set designer's vision of a romantic island beach. long stretch of beach with an occasional limestone formation worn down by powerful waves that roll in off the sea. 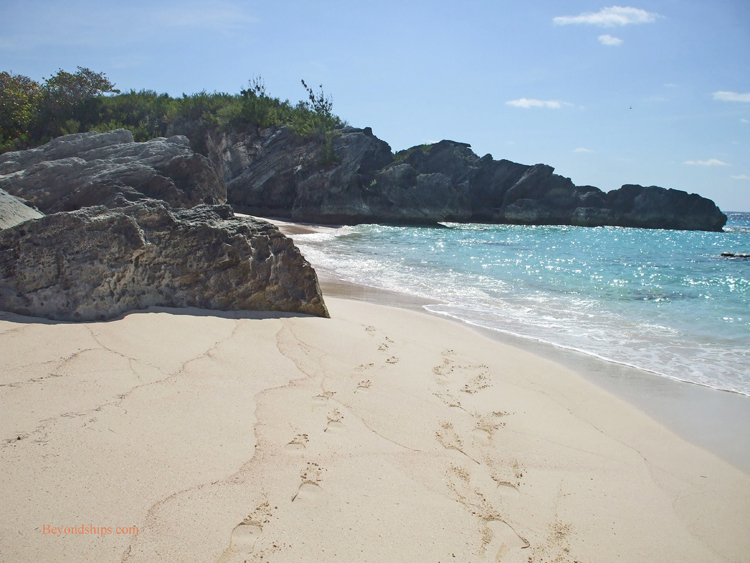 Connecting all of the beaches from Horseshoe Bay to Warwick Long Bay is the South Shore Park trail that can be used for hiking or for horseback riding. (See separate article). 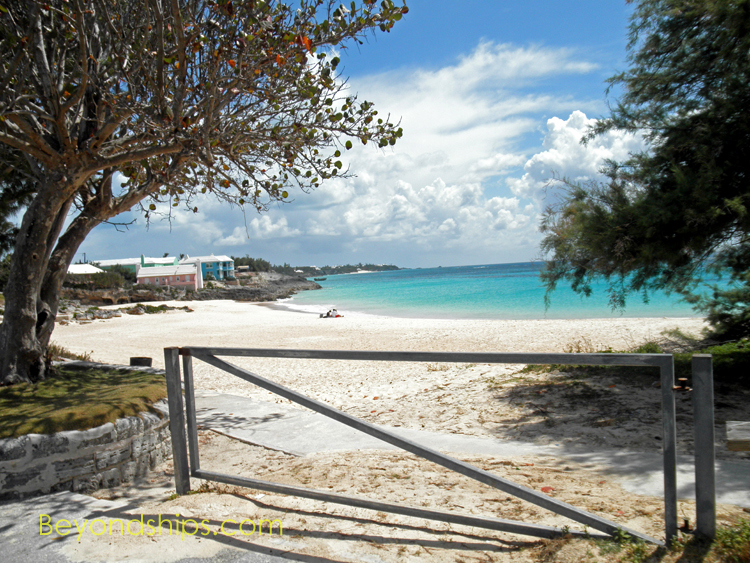 Interspersed amongst the mansions of Bermuda are a number of idyllic private beaches including Fricks Point Beach (above), Windsor Beach (right) and John Smith's Bay Beach (below). 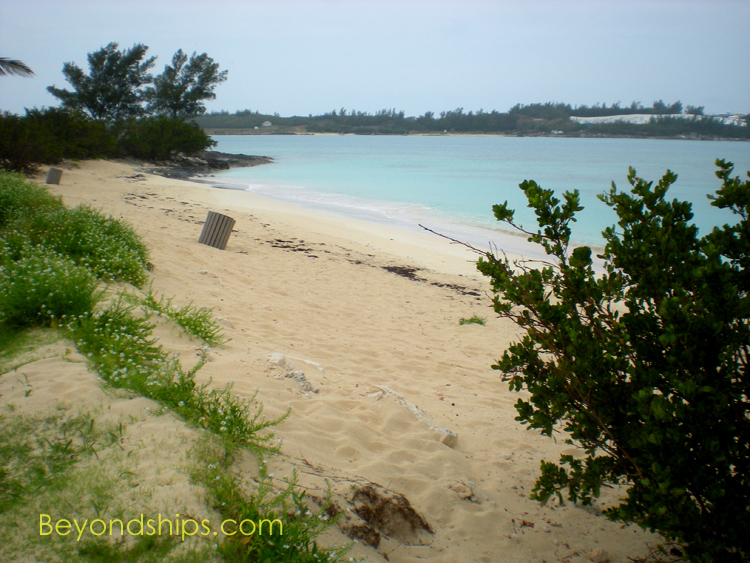 Elbow Beach in Paget Parish is a world famous beach. 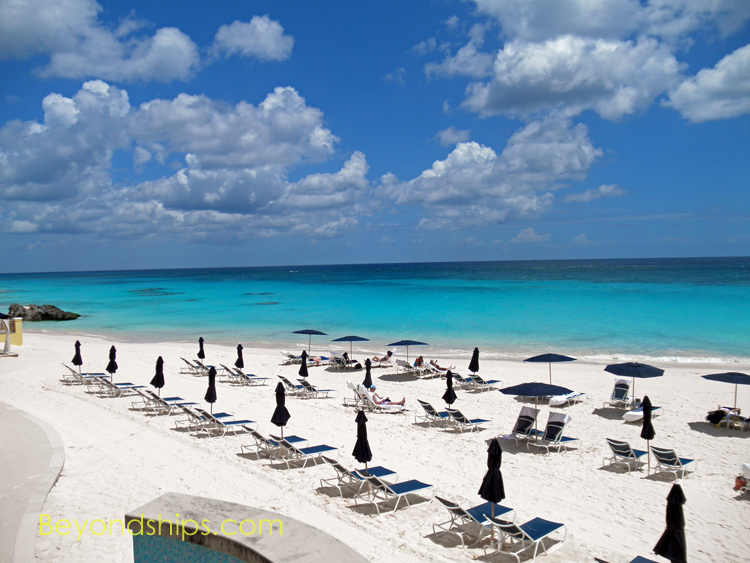 It is home to the internationally renown Elbow Beach Club resort (below). 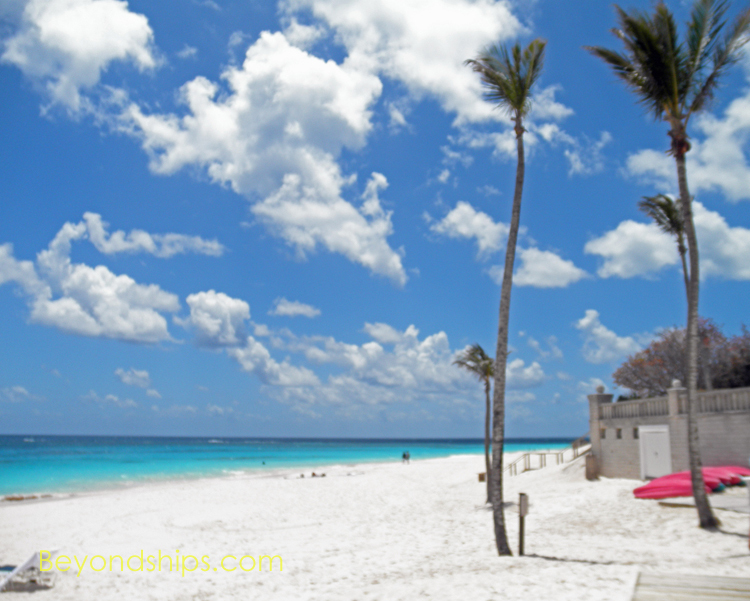 However, there is also public access to the beach for non-hotel guests. 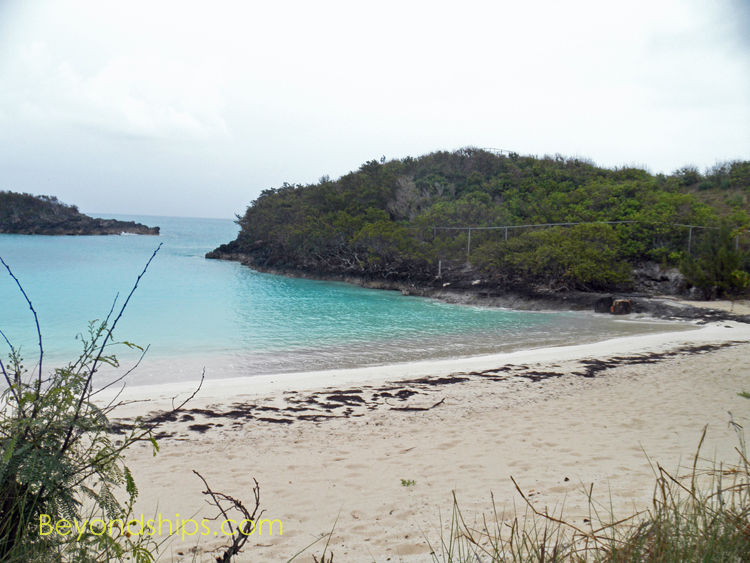 On the eastern end of St. David's island not far from the airport is another series of beaches. Clearwater Beach (below left) is popular with local families. 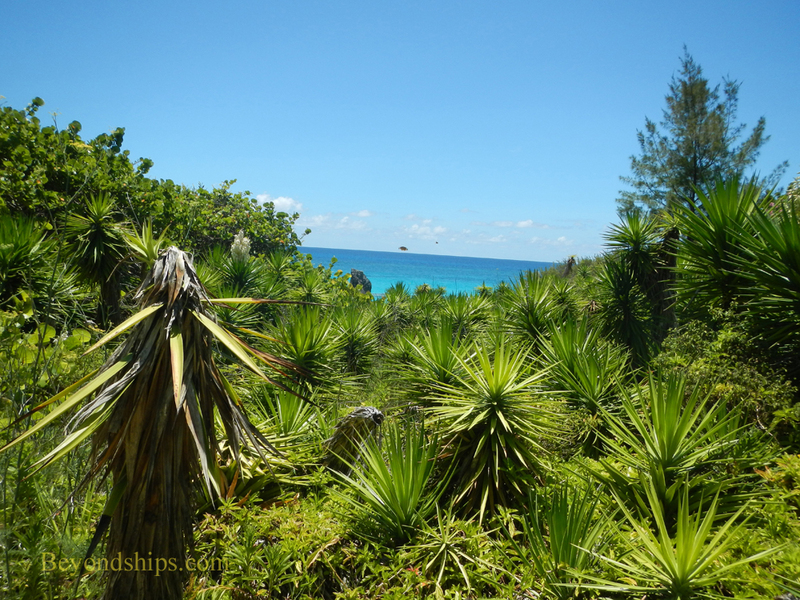 Turtle Bay (below right) also has hiking trails and a playground for children. 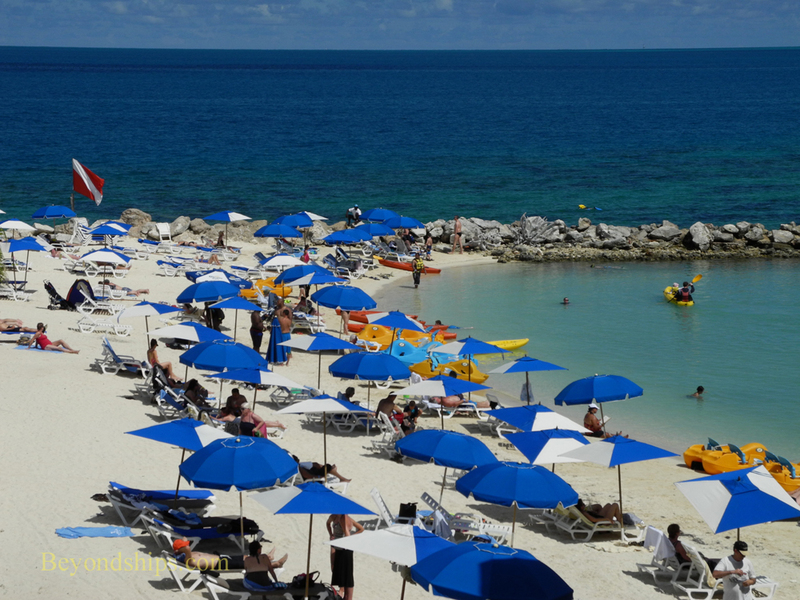 The closest beach to where the cruise ships dock is the Snorkel Park beach. It is just on the other side of the Dockyards complex from the cruise ship berths. There is an admission charge. 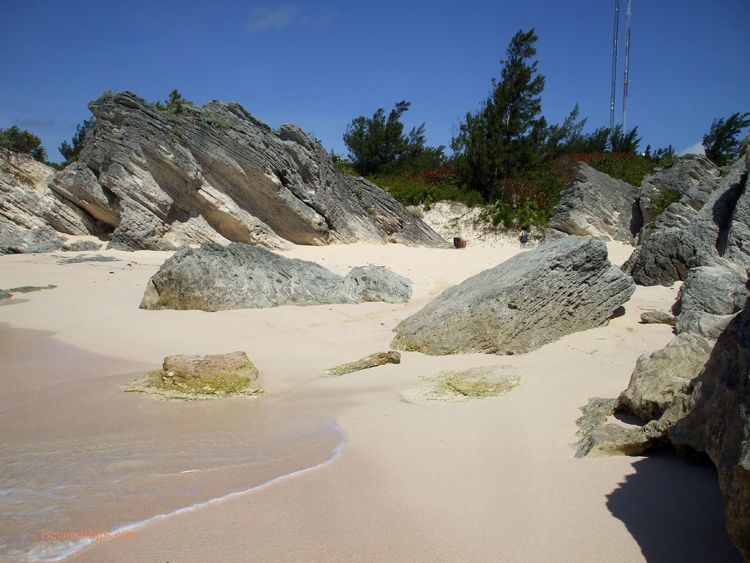 There are a number of small beaches along the West End coast such as the beach at the former Willow Bay Resort (below).